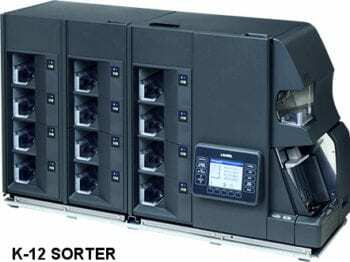 AMROTEC® offers heavy-duty K-Series Currency Sorters to process banknotes and Casino tickets ranges from 4 stackers upto 12 stackers, designed for heavy-duty cash processing operation at various Financial, CITs and Casino Industries. 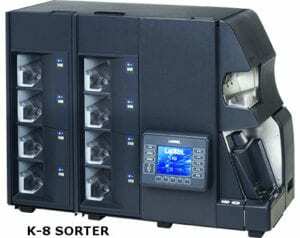 Manufactured in Japan by world reputable bank equipment manufacturer Laurel, K-Series are equipped with either 4 pockets or 8 pockets or 12 pockets along with a dedicated Reject pocket to count, sort, fitness and authenticate US currencies as well as processing capability of Casino bar-coded tickets. All models are interfaced with CASHPRO software to receive currency count and ticket decoding info in one-pass.